to help you build your own strategy and defeat any opponents you meet. rankings, detailed match overview, recent matches and more to help you improve. based on your performance so you can brag about your achievements. Abilities provide a big advantage when they’re used strategically. Planning ahead and knowing how to react to certain situations will make the difference between winning and losing. 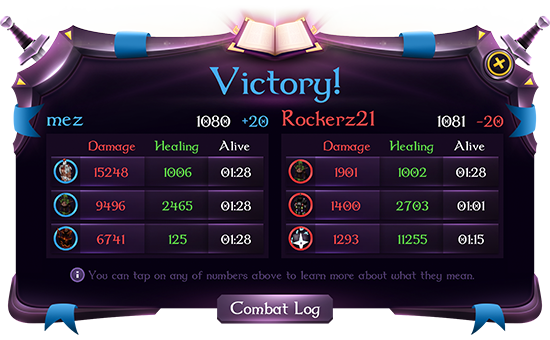 Detailed score screens at the end of each match, combat log of what happened each second in a match, rankings, recent matches and personal statistics. Reach the top of the rankings and win rewards such as skin upgrades to brag about your achievements and in-game currency that you can use to unlock new content. New map - Apothecary Quarter, home of the Alchemist! Combat improvemets, visual updates for several abilities and maps. The two main parts of this update are the new map, Apothecary Quarter and the new pathing system that heroes use to move around. The previous system has been completely scrapped and replaced with an improved one which provides player with better control over their heroes. The new pathing system also allows for knock-off the top platform on Eerie Cemetery and Apothecary Quarter. Updated website with lots of documentation, new map visuals and updated Gladiator & Jaeger green abilities! Check out the updated website with lots of information regarding hero abilities, game mechanics, features and much more! Join Tome of Heroes on Reddit if you have any questions! 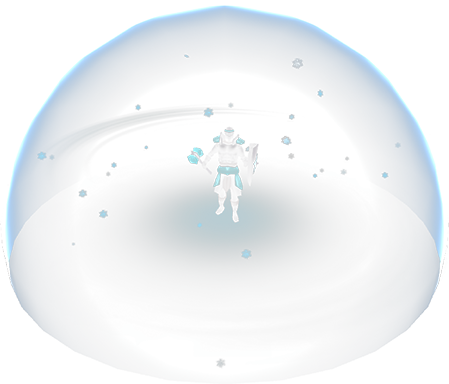 The Gladiator and Jaeger heroes have had their green abilities updated to increase their skill cap. Updated visuals for all the existing arena maps! New map - Proving Grounds! Updated ability animations and sound effects for all heroes! This update bring a new map in the world of Tome of Heroes titled Proving Grounds, the home of the Gladiator. All of the abilities have had their design updated and sound effects have been added for both the abilities and regular attacks. Some of the abilities have been re-worked and several UI and A.I. improvements have been added! 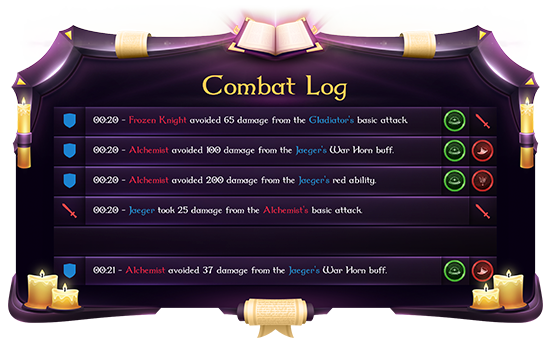 New user interface design, new daily quests system, ability updates, combat improvements and more! 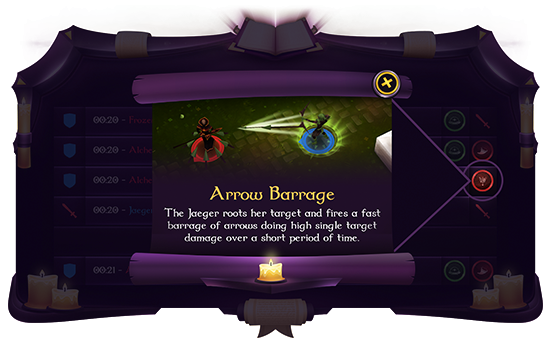 This new update features a face-lift for the previous Tome of Heroes interface design. A new currency was added called coins which can be used to unlock new content. 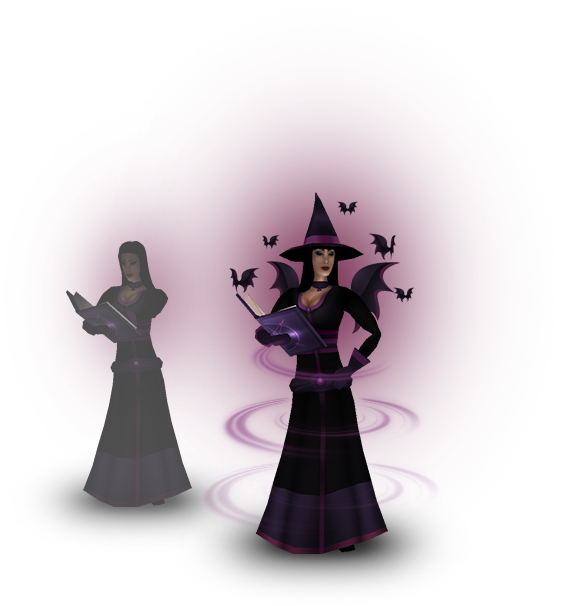 Daily quests is another feature that was added and completing them will award between 1 and 3 coins. Many of the abilities have been updated so they're more interesting and lots of combat improvements for a better arena game-play! Copyrighted 2017 Tome Of Heroes. All Rights Reserved.